Otto Wallin (19-0, 13 KOs) and Adrian Granat (15-1, 14 KOs) both weighed in today in Sundsvall ahead of their Viking showdown tomorrow night at the Gärdehov. The heavyweight rivals will meet in one of the biggest domestic clashes in Swedish boxing history with the winner taking home the European Union belt and establishing themselves as the country’s number one fighter. Female star Mikaela Laurén (29-5, 13 KOs) provides chief support as she meets the undefeated Verena Kaiser (10-0, 5 KOs) for the IBO World Super Welterweight strap. 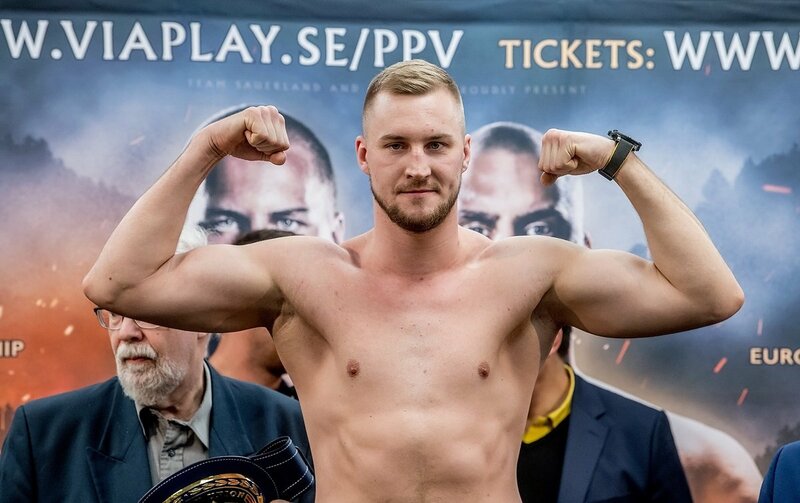 An action-packed undercard sees Sven Fornling (13-1, 7 KOs) defend his IBF Baltic Light Heavyweight title against Karel Horesjek (12-8-3, 10 KOs) and an all-Scandinavian showdown between Simon Henriksson (5-1, 1 KO) and Mikkel Nielsen (4-0, 2 KOs). Plus the return of rising Swedish stars Oliver Flodin (2-0), Robin Safar (5-0, 3 KOs) and Rocco Wadell (4-0, 2 KOs), alongside international heavyweights Albon Pervizaj (7-0, 5 KOs) and Agron Smakici (12-0, 10 KOs). TV10’s coverage of Saturday’s big event begins at 18.30 before moving to Viaplay Pay-Per-View for Laurén and Kaiser’s IBO World title contest, and the European Union title clash between Wallin and Granat. Tickets are available online via www.ticketmaster.se or by calling 0770-170 70 70.